The language we use to discuss the work of teachers in the public domain matters. It matters to our shared understanding of education as a society and it impacts on teachers’ work both directly and indirectly. My research at the moment focuses in part on the notion of quality in education, specifically how issues of teacher quality are represented in the mainstream print media. As part of this work I decided to look more closely at the use of the terms teacher quality and teaching quality in mainstream print media. It might seem at first glance that these terms are interchangeable or that if there is a difference, it is negligible. However there is a difference, and I became intrigued at how they are used differently in the media and how that difference can impact readers. For my study I collected every newspaper article that used either ‘teacher quality’ or ‘teaching quality’ in the 12 national and capital city daily newspapers over a four-year period, from January 2014 to December 2017. There were 432 articles in all, spread fairly evenly over each of the four years, comprising over a quarter of a million words. I used a range of different techniques to analyse the language used across the group of articles. To start I explored the use of the terms themselves (teacher quality and teaching quality) in context: which teachers were the journalists referring to and what exactly were they saying about the quality of said teachers and/or their teaching? While all the articles mentioned either teacher quality or teaching quality, some of them used the terms more than once: there were 369 mentions of teacher quality and 179 mentions of teaching quality in the 432 articles. So teacher quality was used in these articles over twice as many times as teaching quality. All 548 mentions referenced either school teachers or teachers in higher or vocational education institutions (universities and colleges). Significantly, of the 369 instances of the use of teacher quality in the texts, 360 (that’s 98%) referenced school teachers, while only 9 (the remaining 2%) referenced teachers in higher or vocational education contexts. Somewhat conversely, of the 179 instances of teaching quality in the texts, only 57 (32%) related to school teachers, while the majority of references (122, or 68%) related to teachers in the higher and vocational education sectors. When ‘teacher quality’ is mentioned, with very few exceptions, the talk is about schools. So if the media report or comment is about quality issues in schools the term teacher quality is much more likely to be used than teaching quality. The opposite is true of university lecturers and teachers in vocational and technical colleges, where issues are generally rendered in terms of teaching quality. The overwhelming use of term teacher quality when referring to schools implies that if there is a problem with quality in schools it is a problem with the teachers themselves. In this case quality is linked directly to who is doing the teaching. On the other hand, the use of teaching quality while referring to universities and further education contexts implies the quality has to do with how a teacher is teaching. So if there is a problem with quality it is not a problem with the teachers themselves but with the teaching methods or curriculum they are using. This issue might seem subtle, almost theoretical, but it has some very practical implications. In the paper Professional learning, pedagogical improvement, and the circulation of power researchers from the University of Newcastle drew attention to the difference between understanding good teaching as practised (as implied in ‘teaching quality’) and embodied (as implied in ‘teacher quality’), arguing that “where good teaching is understood as being about practices rather than bodies, there is likely to be a stronger receptivity to the idea of change in pedagogy”. The ongoing use of teacher quality in relation to school teachers reinforces the idea that there is something implicitly wrong with the teachers themselves, rather than with their practices. I know from my considerable work alongside practising teachers in schools the relief that often comes from shifting the conversation to recognise that teaching is practised rather than embodied. In other words, the conversation shifts from one about who teachers are, to what teachers do, and in the process all kinds of doors open to honest critique and the hard work of collaboratively improving classroom practice. When quality is viewed as a problem, and it inevitably is by the media, politicians and education bureaucrats, it would a much easier problem to solve if it is a problem with pedagogy and curriculum rather than a problem with the actual people who are employed to do the teaching. But it was interesting to delve further into my slice of media and look at who, ultimately, is seen to be responsible for solving any perceived problem with teacher quality. Who is seen to have solutions to teacher quality problems? My analysis of these articles found discussion of teacher quality most often occurred in the context of a broader discussion about improvement of teacher quality. Sometimes the discussion directly referenced improvement, while at other times it focused on falling quality (with the associated need for this to be remedied). Almost exclusively, however, the proposed agent of improvement lay beyond both the school and the teaching profession. Governments, accrediting bodies, departments of education and in some cases, universities were seen to have the power and responsibility for improving teacher quality, generally through enforcing stricter controls on who comes into the profession and what they learn on their way into teaching. In only the rarest of cases are teachers themselves positioned as active players in the improvement of teacher quality. Of course, newspapers aren’t entirely responsible for the prevailing focus on teacher rather than teaching quality. Teacher quality is well and truly out there in the public space. It was one of the four pillars of the current Federal Government’s Students First strategy, and was a darling of the Rudd-Gillard Governments during the Education Revolution. It is embedded in numerous current national and state and territory education policy documents. These things have a knock-on effect to the way the education is reported in the press, and to the way teachers’ work gets discussed within the community and sometimes even by teachers and other educators themselves. But here’s the thing: when it comes to education, if we’re really interested in quality, we need to shift the conversation. We need to make it more about helping teachers to improve the quality of what goes on in their classrooms, and less about casting them as personally or professionally inadequate in the public space. We need to make it more about teachers’ practices and less about teachers as people. We need to make it more about real, collegial professional learning for improvement and less about trying to regulate our way to quality. Nicole Mockler is an Associate Professor in Education at the University of Sydney. She has a background in secondary school teaching and teacher professional learning. In the past she has held senior leadership roles in secondary schools, and after completing her PhD in Education at the University of Sydney in 2008, she joined the University of Newcastle in 2009, where she was a Senior Lecturer in the School of Education until early 2015. Nicole’s research interests are in education policy and politics, professional learning and curriculum and pedagogy, and she also continues to work with teachers and schools in these areas. Nicole is currently the Editor in Chief of The Australian Educational Researcher, and a member of the International Advisory Board of the British Educational Research Journal and Educational Action Research. She was the Communications Co-ordinator for the Australian Association for Research in Education from 2011 until 2016, and until December 2016 was Associate Editor for both Critical Studies in Education and Teaching and Teacher Education. Susan Groundwater-Smith and Nicole write about other issues related to the language of improvement and reform in their forthcoming book Questioning the Language of Improvement and Reform in Education: Reclaiming Meaning. Children and young people are using services all around us that have been designed for them by grown-ups. These are in parks, playgrounds, schools, health clinics, court-rooms, libraries, museums and homes, including dozens of forms of social media. But, it is rare for children to be consulted about the design of services created specifically for them, let alone be invited to research how they use, or are affected by, these creations and what works for them. It may come as a surprise to many that the United Nations Convention on the Rights of the Child (1989) entitles children to a broad range of rights including the right to say what they think in all matters affecting them and have their views taken seriously. But entitlement is not the same as action. My colleagues, Sue Dockett and Dorothy Bottrell, and I believe that those who work in, and research children’s services have a responsibility to spend time with kids, asking them, not only what they think, but also how things can be improved. Beyond that, even, we see that youngsters can contribute to future planning and evaluation. We believe that very young children have insights into, for example, the ways in which they might enjoy an art exhibition or be able to play with their friends in a park. As well, truculent adolescents have views on the ways in which they are dragooned into taking tests in their schools and such-like to satisfy some remote government policy about which they have little say. We are well aware that many would argue that children already have too much say in matters that affect them and that decisions should be left to adults who know better. But we have explored the arguments extensively and see that very few discussions examine the great differences in power that exist and that “knowing better” is little more than a kind of blindness to children and young people’s lack of voice. All too often, any kind of consultation is little more than tokenism. Children might be asked to complete a survey or two, but they are rarely told of the results and the impact on planning, if there is any. We are committed to the notion of an ‘active citizenry’, that is, being enabled to participate in the many matters that surround us. Active citizens are responsible citizens who take an interest in not only local affairs, but also those large issues that cause concern. Active citizens will stand up for what they believe to be right, for example, ensuring that public broadcasting is properly funded or that mining resources is not at the cost of the environment. We believe this should start with the very young and continue through until adulthood is reached. When we do engage more completely and authentically with our children and young people we face many dilemmas. They may not always say and do things that make us comfortable. They may challenge us to listen to them more carefully and not merely play some tokenistic game. We have put these ideas and more into our new book Participatory research with children and young people. It is a practical guide, written to be a useful resource for all professionals who work with children and young people, as well as for children and young people themselves as they contribute to research and inquiry into matters that affect them. 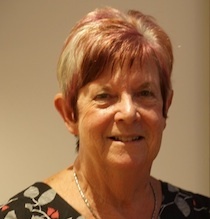 Susan Groundwater-Smith is an Honorary Professor in the Faculty of Education and Social Work. She facilitates practitioner researchers working in Schools, Museums, the State Library and Taronga Zoo, paying particular attention to eliciting feedback from children and young people and engaging them in inquiry. She convenes the Coalition of Knowledge Building Schools, a hybrid group of government and non-government schools, single and co-educational schools and cultural institutions. She has published a number of books and chapters in this area, working closely with Nicole Mockler, also at the University of Sydney.